A common misconception exists among homeowners today that lead paint and the issues surrounding it are a concern of the past. Lead was officially banned from being used as an additive in paint in the United States in 1978. Although the sale of lead paint has ceased, the many older homes that make up much of the housing stock in New England were built well before the ban went into effect. There are currently 1.5 million homes in Massachusetts that still contain lead based paint and have not been remediated. In most cases, the existent lead paint has simply been painted over and is now covered with layers of new paint. Unfortunately, even with the layers of new paint covering the lead paint, there is still a significant risk for young children. Many people believe that ingesting lead paint chips is the primary cause of lead poisoning in children. This however, is untrue. Children are typically poisoned by inhaling microscopic lead dust created by deteriorating lead paint. This can go completely undetected until it is too late. In fact, a single gram of lead, which can easily fit inside of a sugar packet, is enough to create a lead dust hazard twice the recommended level in an entire block of 20 homes. As the use of lead has been phased out from gasoline and paint, the pediatric lead poisoning cases have decreased significantly in number. Today, childhood deaths from acute lead poisoning are extremely rare, as most pediatric lead poisoning cases occur in children with blood lead levels in the rage of 10-20 micrograms per deciliter. Although “lead poisoning” cases have declined, “lead exposure” has remained a serious issue that is causing long term and irreversible effects in children. The new industry term, “subclinical toxicity” has been coined to demonstrate that even low levels of exposure can be damaging. In 2012, the Center for Disease Control eliminated the term “blood lead level of concern,” declaring that there is no safe level of lead in a child’s blood. Exposure to even the smallest amount of lead can cause permanent and irreversible damages. Unfortunately, there are not any noticeable precursors that a child is breathing in lead dust. Any exposure to lead can cause impaired development, the inability to regulate mood and behavior, learning disabilities, lowered IQ, ADHD, autism, antisocial behavior and violent behavior. Many times these disabilities or personality traits are not initially attributed to lead exposure, but rather blamed on other biological and environmental factors. All impairments caused by lead exposure can be easily avoided by taking a few preventative measures to ensure your child is not living in a hazardous environment. If your home was built prior to 1978 and it has not been deleaded, it contains lead. The first step to making your home safe is to hire a licensed lead inspector. The lead inspector will test every surface in your home and form a comprehensive lead inspection report. This report details all existing hazards that would need to be remediated in order to achieve a lead-safe environment for you and your family. 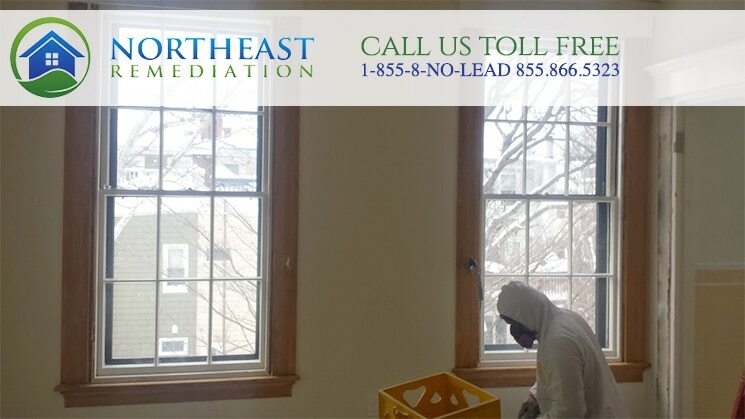 Call us or click here to receive a list of lead inspectors. 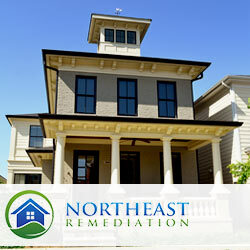 Once the report exists, a licensed lead remediation firm can then provide you with a quote for the remediation of your home. As there are many different methods available for remediation (all varying in cost,) the contractor can work with you to find out what methods of remediation make the most sense considering both the work required and your budget. It is a common belief that once a lead inspection report exists for a property, the homeowner must take action to remediate their home- which is untrue. The state does not require you to delead your home unless your child has an extremely elevated blood lead level, or you are a landlord and renting to a family with children under the age of six. Educating yourself on the dangers that exist inside of your home does not obligate you to do anything. Rather, it gives you the information needed to make the best decision for your family. We serve the Northshore markets and more. Call today and let's talk about how we can help.